Dressing your children up in cute costumes and taking them trick-or-treating is fun, but what do you do with all the candy once you’re done? With cavities and childhood diabetes, most parents are apprehensive about allowing their children to eat all of that candy. Instead, mindful families can use their Halloween candy to save a little money. Americans spend a fortune on Halloween. The National Retail Federation predicts that this year consumers will spend $8.4 billion on Halloween, including $2.5 billion on candy alone. The average American consumer will spend about $82.93 on costumes, candy, decorations, and greeting cards. You can recoup some of this money back by re-purposing the extra Halloween candy your family collects or the candy you don’t hand out. Do you normally hand out candy as gifts around the holidays, such as Christmas? Consider using your Halloween candy instead. Simply freeze the candy now and take them out a day or two before the occasion. This can save you a little money and time around the winter holidays. Do you normally like to bake sweet, chocolaty treats? Save money on ingredients by using your holiday candy instead. Reese’s Peanut Butter Cup, Kit Kat, and Butterfinger are the most popular Halloween candies in America and these treats can easily be upgraded into delicious chocolate desserts. You can make a simple peanut butter and chocolate cake, Kit Kat Bundt cake, or a chocolate and caramel Butterfinger cake. Take your upgraded treats a step further and consider selling them. Try hosting an autumn yard sale while the weather is still good and sell your desserts as refreshments. You can even get your children involved to help nurture their money management skills. It’s been said that candy can last for months if frozen, so consider using your candy further down the road. Use the candy for your child’s next birthday party—they’d be great for decorations, party favors, or piñata fillers. The candy can also be used for holiday decorations such as gingerbread houses, stocking fillers, Valentine’s Day trinkets, or stuffing for Easter baskets. Once again, by freezing the candy and using them later you’ll save money on candy supplies. Bonus: if all else fails, donate it! If you still have more candy then you know what to do with, consider donating it instead. 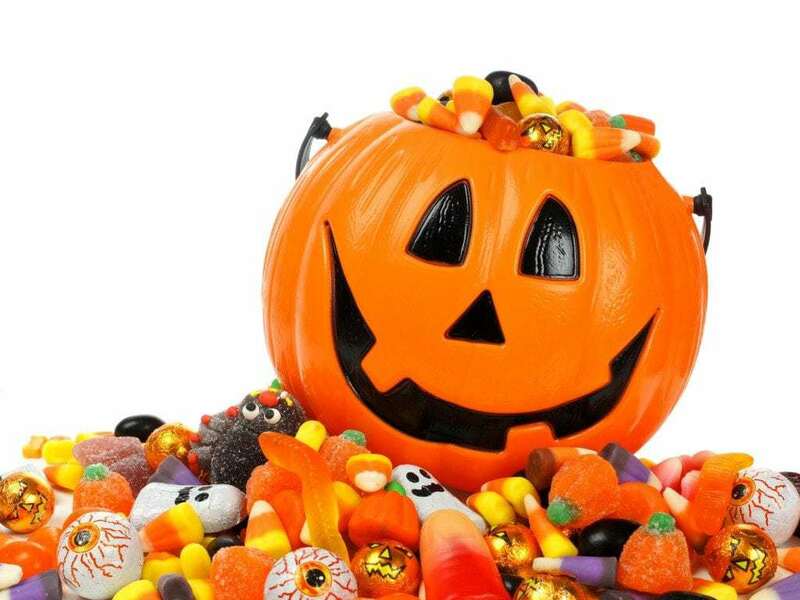 Programs like Halloween Candy Buy Back exchanges $1 for every pound of Halloween candy. Then organization sends the treats to the troops serving overseas. Also, don’t forget to save your wrappers! Terra-cycle is a company that collects recyclables in exchange for prizes. Your child’s school can collect candy wrappers from the students, send them to Terra-cycle for recycling, and receive cash payments or rewards for the school.